Who wants a 50 cent dollar? With rumors of another rate cut, Rob Carrick points out 8 reasons he thinks that’s a bad idea. The very first reason? The Looney will fall even further against the US dollar. For eight years, the Bank of Canada has been trying to encourage economic growth by lowering interest rates. It’s so not working. In fact, lower rates are hurting a lot of people more than they’re helping. We have to at least acknowledge this as speculation of yet another rate cut grows. It could come as soon as Wednesday, which is the date of the next rate announcement from the Bank of Canada. The central bank considers the entire economy when it sets rates. Now, let’s look at things from the point of view of everyday people. Here are eight reasons why the Bank of Canada shouldn’t cut rates any lower. 1. The dollar will fall even more: The most disruptive force in personal finance right now is the falling dollar. That’s because it’s hitting us all in a vulnerable spot – our grocery bill. Helpful for exporters, a weak loonie is a tax on families and snowbirds who must change Canadian dollars into U.S. currency. Last week, the dollar fell below 70 cents (U.S.) for the first time since 2003. A lower dollar adds downward momentum. Read the full list over at the Globe and Mail, although a number of them are directly connected to a dropping looney. The one group that a dropping looney should help are exporters as their products get cheaper for foreign buyers, but Jayson Myers, the head of the countries largest exporters association says don’t bother. Scott Brison is now a key cabinet minister and top economic aide to Trudeau. A hat-tip to southseacompany for the links. lets do our regular end of the week news roundup and open topic discussion post for the weekend! –Vancouver market cooling too quickly? –What did Billy do wrong? Over the weekend we deleted hundreds of user accounts, so if you’re trying to log in and it’s not working you may need to re-register. Why did we delete these user accounts? 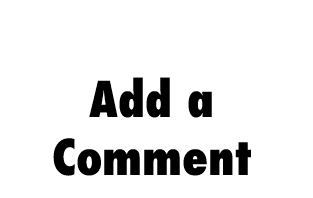 Over the last couple of weeks we’ve warned that user accounts with no comments will be deleted. We’ve had lots of spam registrations and the only real way to confirm if someone is an actual human interested in the topic of Vancouver real estate is if they comment. There are security concerns and spam registrations swell the database, so a purge was in order. How can I keep my user account from being deleted? This is an ongoing policy, so if you’re going to register an account you must leave a comment once you’re logged in or your account will be deleted. We understand that not everyone wants to take part in the conversation and some of you may want an account simply for the double comment voting power, but new accounts must have at least one on-topic comment attributed to them or they will be deleted.